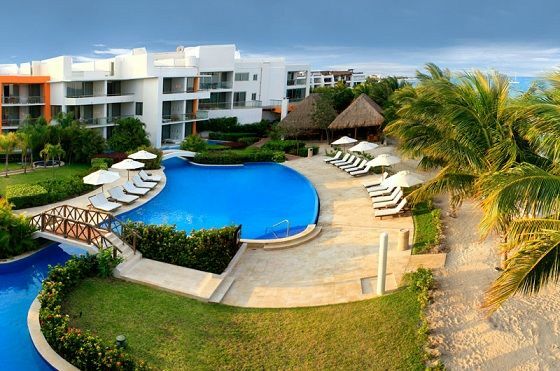 Secrets Aura Cozumel is the latest offering by AMResorts in Cozumel, Mexico. Sabor Cozumel Exclusive Resort & Spa and Aura Cozumel Grand underwent the required modifications to be re-launched as Aura Cozumel. These modifications ensured that the resort comes up to the brand’s standards. The company combined Sabor Cozumel Exclusive and Aura Cozumel to make it the 168-room Secrets Aura Cozumel. It has added 9 new oceanfront and ocean-view rooms. The three restaurants were also given a makeover to become the brand's Bordeaux, Oceana and Windows restaurants. A new shopping area will be inaugurated in January 2013. Access to gourmet a la carte dining and premium beverage brands. Daytime activities and live evening entertainment. The resort is fully loaded as it features three main swimming pools, a full-service spa, fitness center, non-motorized water-sports, and suites with private lap pools, solariums and swim-up options. All suites have a terrace or private balcony and beautiful ocean or pool views. Secrets Aura is the first adults-only resort on Cozumel Island. It is just 15 minutes drive from downtown Cozumel and 20 minutes from Cozumel International Airport. The location makes it accessible to the destination’s main coral reefs, part of the world-renowned Mesoamerican Barrier Reef System. It is a treat for nature lovers as the Chankanaab National Marine Park, the Punta Sur National Ecological Park are also situated close by. For golf enthusiast there is Cozumel Country Club nearby. AMResorts is the provider of sales, marketing and brand management services for Zoëtry Wellness & Spa Resorts, and Secrets, Dreams, Now and Sunscape Resorts & Spas.